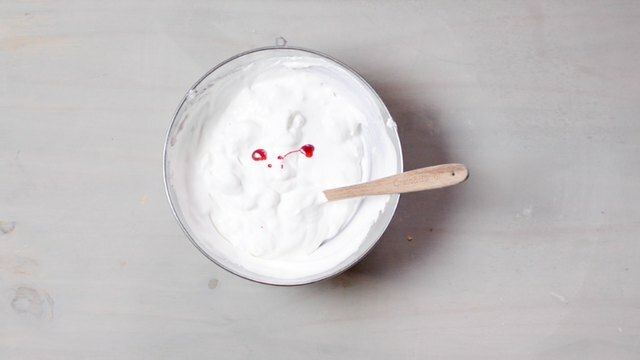 There really isn't a more adorable dessert you can make that's as easy as this one. Sure, you can wait for a kid's party. But what about grown ups?! 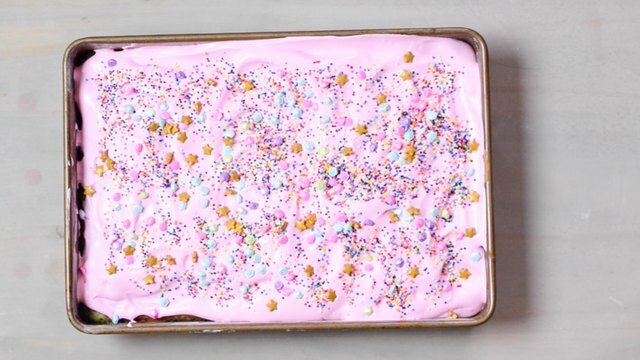 We like sprinkles, and cake, and pink whipped cream as much as the next guy. 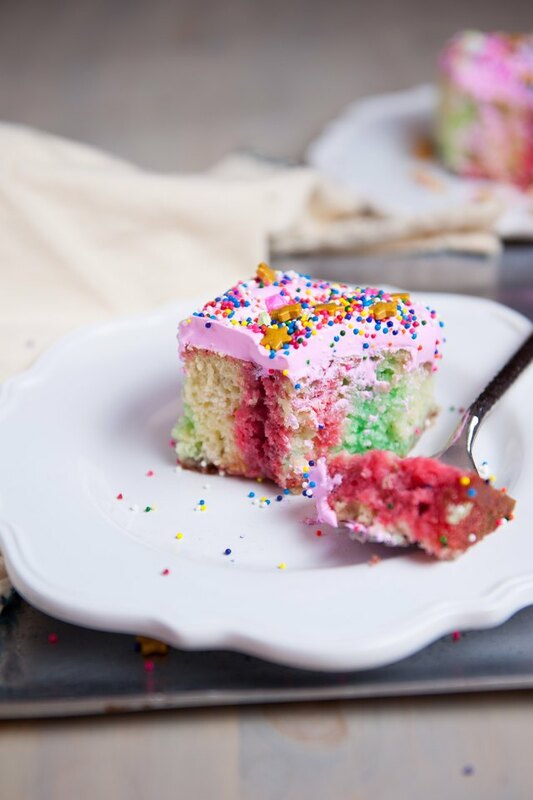 How about just deciding that Tuesdays are Unicorn Cake Day and using that as an excuse to make this recipe this week? 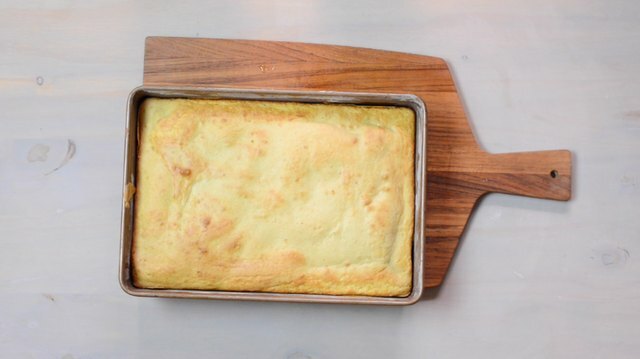 Bake a white cake in a 9x13 pan according to directions. Allow to cool for 20 minutes. 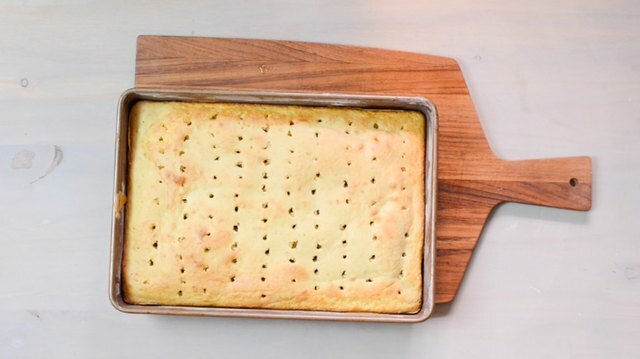 Using a wooden spoon or a chopstick, poke several holes, very close together across the entire cake. Spray the chopstick or wooden spoon with cooking spray to keep it from getting covered in cake! 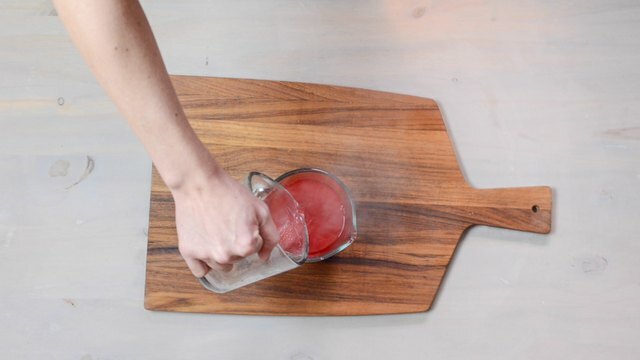 Add each color of Jell-O to a different measuring cup with a spout (this can be done one at a time). Pour one cup of boiling water over the Jell-O, stir until well combined. Repeat for all colors. 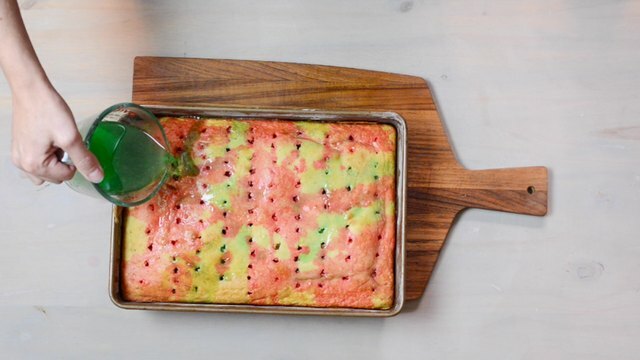 One at a time, pour the Jell-O colors over the cake into various holes, well spaced out over the cake. Cover the entire cake. 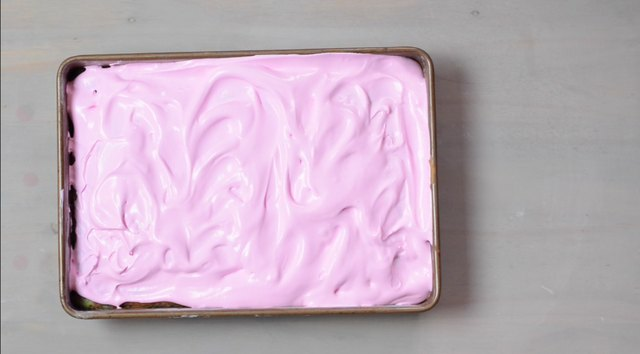 Add a few drops of pink food coloring to the whipped cream, adjust color depending on preference. Add a lot of sprinkles to the cake. Refrigerate until ready to serve.